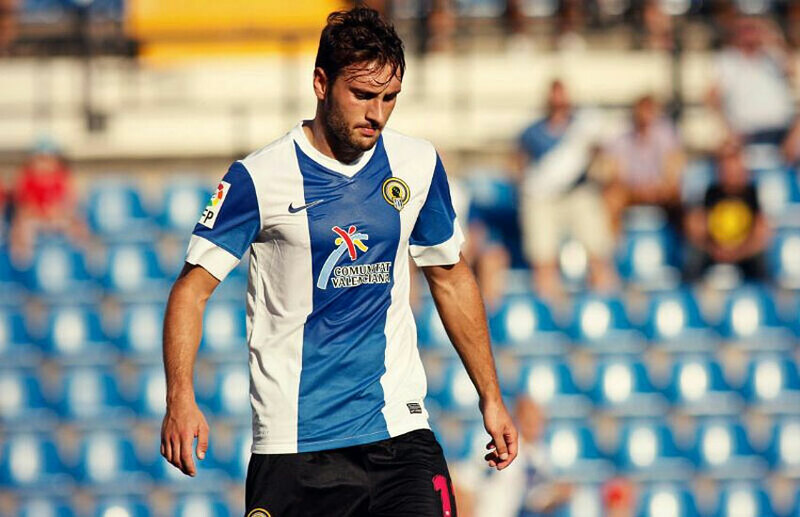 Eldin Hadzic is a twenty two year old left winger who plays for Spanish club Hércules CF. Eldin was born in Sarajevo but his family was forced to flee Bosnia-Herzegovina in 1992 due to the war; his father had been a prisoner of the notorious concentration camp “Manjaca“. They settled in Spain. Eldin signed for Hercules CF in 2004 at the age of 13 after he was noticed by the club’s scouts. In 2010 he even attracted the attention of Spanish giants Real Madrid. Unsurprisingly, Eldin has never received a call up for any of our youth teams, even though he expressed his wish to play for Bosnia back in 2010, long before we qualified for the World Cup and became a more attractive option for diaspora players. He is clearly not an opportunist. The Bosnian national team currently has three left midfielders/wingers at our disposal: Senad Lulic of SS Lazio, Edin Visca of Istanbul BB, and Zoran Kvrzic who plays for HNK Rijeka in the Croatian top flight. Lulic is rightfully the undisputed starter in this position, while Visca is his usual like for like replacement. Kvrzic has only joined recently, making his debut in Bosnia’s recent friendly against Argentina. What makes Eldin even more attractive is that he can also play as a Center Forward. We currently have only two strikers in our squad–Edin Dzeko (Manchester City) and Vedad Ibisevic (VfL Stuttgart)–and we have yet to solve the problem of finding a third. Eldin is a solid finisher and would mitigate that problem somewhat, adding depth to two positions. Susic has said that he has not yet chosen all of the players he will take to the World Cup and the decision weighs heavily on his mind. This is the perfect time to experiment and Susic needs to use it. We have nothing to lose from giving Eldin a shot in one of our upcoming friendlies. This entry was posted in Bosnia-Herzegovina National Team and tagged Edin Visca, Eldin Hadzic, Hercules CF, Potential National Players, Spain, Zoran Kvrzic. Bookmark the permalink. Where is your contact mail, i would like to ask you ans suggest something?